Even those who call South Florida home catch themselves daydreaming about the Sunshine State they see on TV: the palm trees, neon lights, and azure skies. Sometimes, for locals stuck in traffic on the I-95, we may forget momentarily about this televised landscape. This Florida is a tropical version of the American dream, forged by the countless immigrants who have made a home here – where the sight of a beach on the horizon means much more than a day out, or a stretch of green lawn feels infinite to those who started with nothing. We get a glimpse of this South Florida through the periscope eyes of artist Silvia Lizama. A Professor of Photography and Chair of the Department of Fine Arts at Barry University, Lizama has become renowned for her mixed-media photography dipicting intimate portraits of urban life. 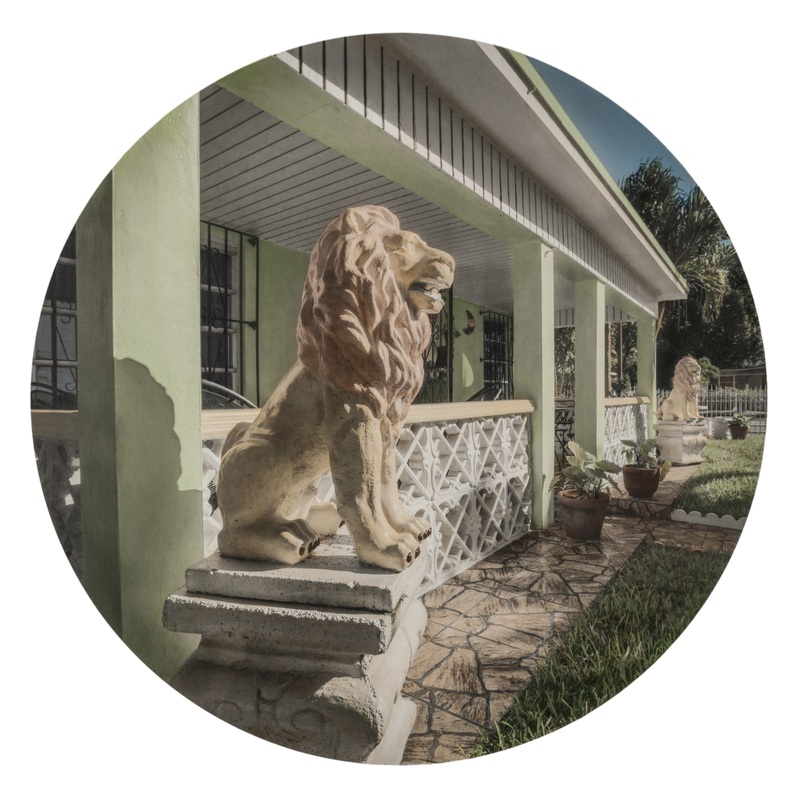 In her popular South Florida series, her photos reveal the homes we live in and or pass by every day on our commute: construction sites, kitschy lawn ornaments, and Christmas lights never taken down.